Distribution groups are created to enable users to send emails to a pre-defined target group. Admin needs to manually manage the groups like adding and deleting users as and when required. 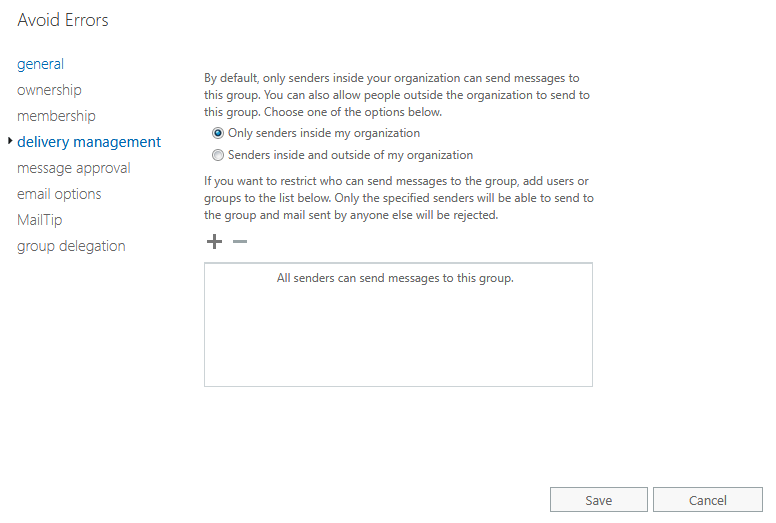 O365 provides with another cool feature using which a group is created dynamically when an email is being sent to the particular group based on some pre-defined rules or conditions. 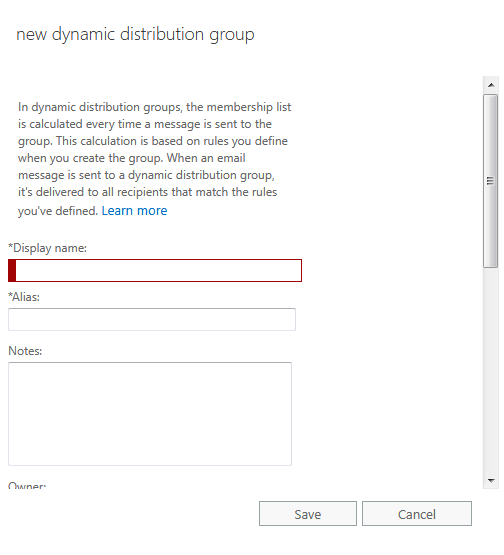 In this tutorial, we will see how to create a Dynamic Distribution Group and its benefit. 1. Login to your O365 Admin portal and open Exchange Admin Center. From the left navigation pane select recipients and then click on groups on the top. 2. From the drop-down as shown in the figure select Dynamic distribution group. 3. 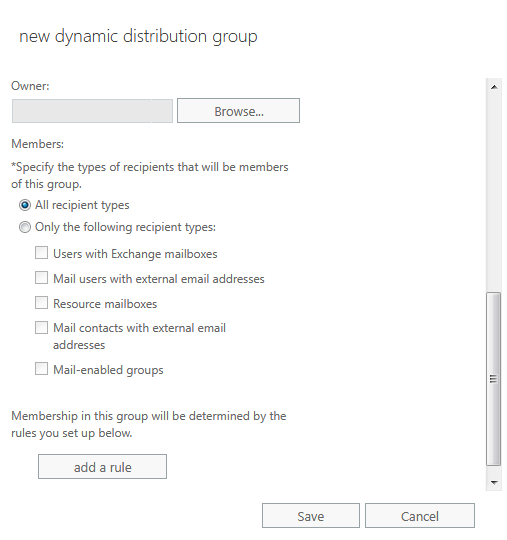 A pop-up window should open where we need to enter the name of the new dynamic distribution group we want to create and add an alias, which is essentially the email id of the new group. You may add some notes mentioning when the group was created, why it is created or the conditions/rules based on which the group recipients are generated. 4. In the Owner field enter the identity of the group owner. The Members field is the crucial part of which we can set the rule/condition which makes the group dynamic. 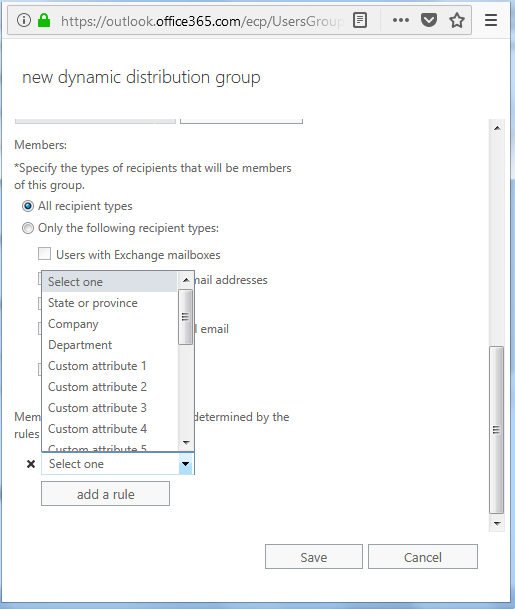 In most cases, you may keep All recipient types unless you want to limit the members of the dynamic group based on the five types of mailboxes as shown. 5. Next, you need to click on add a rule. 6. 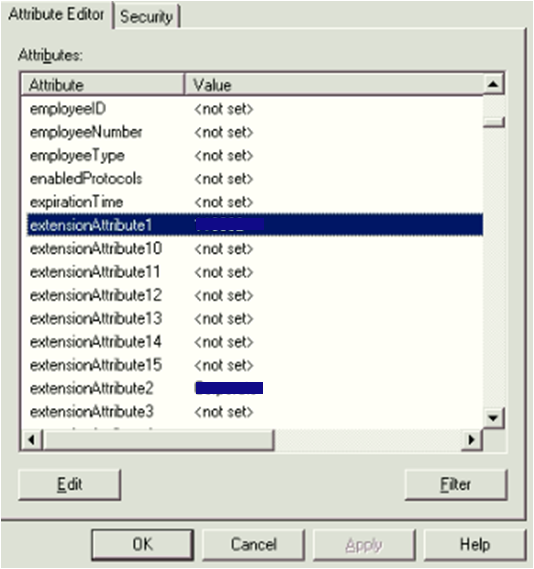 Based on your requirement you may set the condition either on State or province, Company, Department or any of the other fifteen custom attributes or as a combination. 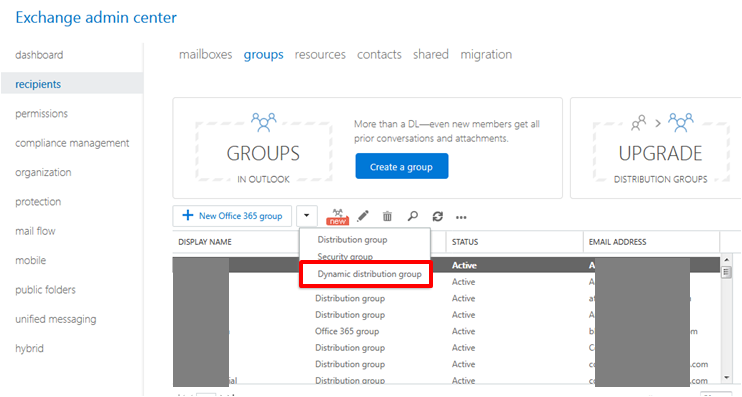 For setting up a group based on Department, select Department from the list and enter the name of the Department exactly as mentioned against the user (User mailbox > Organization > Department field). You may add more than one Department if it is required. For example, only one group may have to be created for both Human Resource and Administrative Department – in which we have to add “Human Resource” and “Administrative” one by one. 7. After clicking on OK, it will return to the previous screen and show the rules added. 8. You may add more than one rule and only those users will be added which conforms to all the rules mentioned against the particular group. Rules follow the AND logic – not OR logic. 9. You may double-click on the group and set other features as required, like hiding it from the global address list or setting the delivery management of the concerned group. Custom Attributes may be added for Cloud Users from EAC > recipients > mailboxes > edit > general > more options. 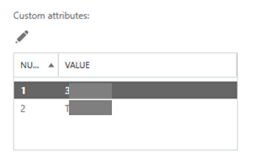 For updating custom attributes for Synced Users (users created in Active Directory) you need to open adsiedit.msc > select the user > properties > extensionAttribute1 through extensionAttribute15 which corresponds to customAttribute1 through customAttribute15 in O365. 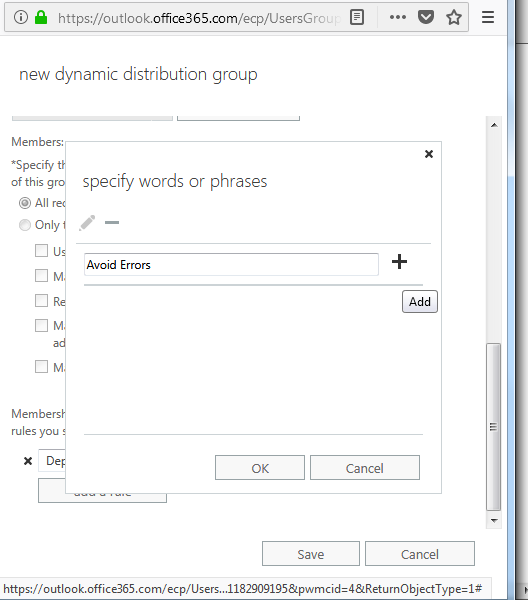 The main benefit of dynamic distribution groups over distribution groups is a manual intervention for adding or deleting members from the group is not required, i.e. maintenance overhead is reduced. Suppose a dynamic group is created with “Human Resource” as the Department in the rule – if someone new joins in the Human Resource department and his / her Department is set as Human Resource then he/she will automatically be a member of the dynamic distribution group without any manual intervention. In future, if the department is changed then the respective users will automatically be removed from the list. Special Care must be provided so that there is no typo error (while setting user details and rules) or else mailing list will not be generated correctly.